As expected, Apple has finally released its next most advanced Mac operating system i.e. macOS Sierra 10.12 and Xcode 8 apps development tool at Worldwide Developer Conference (WWDC) 2016. The latest macOS Sierra 10.12.6 Beta (Build 16G23a) and Xcode Beta updates are now available for macOS developers and non-developers (general public users) for free to experience new features and functionalities changes. Apple has rebranded its operating system by calling it macOS, rather than OS X, which means Apple users won't see the term OS X in near future, but just macOS. The Direct Download Links of macOS 10.12.6 Sierra Beta DMG and Xcode Beta DMG Files are available below. What's New in macOS Sierra 10.12? Apple has brought following new features and functions in latest macOS 10.12 Sierra software for Mac Pro, Mac Mini, iMac and MacBook hardware and device models. Siri Integrated for virtual assistance in operations. Auto Unlock support with Apple Watch to remove password demand. Universal Clipboard to copy/paste data from different Apple iDevices. Desktop Synchronization With iCloud Drive on iCloud.com or through iCloud windows app. Revamped Photos app with smart features. Apple Pay support for web for online payments through Safari web browser. Picture in Picture (PiP) function for larger screened Macs. Redesigned Messages App with advanced features. Updated Apple Music App in iTunes. Safari-Esque Tabs In Apps to open up multiple tabs. Enhanced performance and user experience. What's New in Xcode 8 Features? 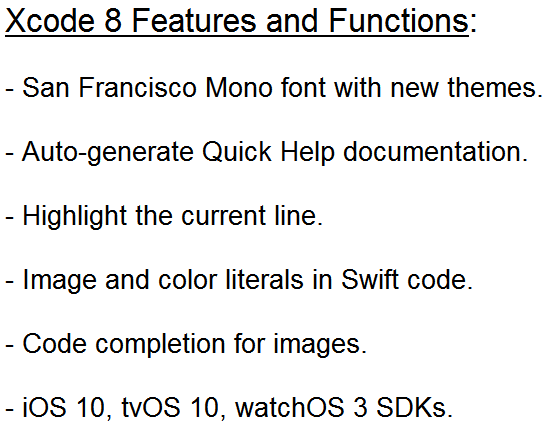 Xcode 8 editor includes features and functions to develop awesome apps for iPhone, iPad, iPod touch, Mac, Apple TV, and Apple Watch devices with Swift 3 programing language support and new Swift Playgrounds app for iPad. Below you can read full Xcode 8 Changelog details. Following Mac hardware are supported and compatible with macOS 10.12 Sierra software. Final Version of macOS Sierra 10.12 has been officially released from Fall-2016 of this year as free OS upgrade. The official macOS Sierra 10.12.6 Public Beta Version is officially available via Apple beta software program. Developer Preview macOS Sierra 10.12.6 Beta Version is already available to all macOS developer program members. 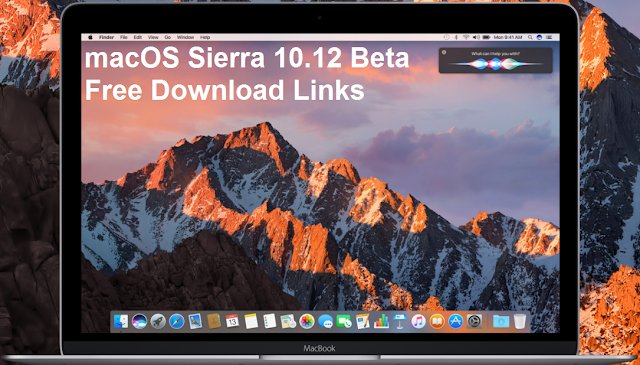 Apple macOS users can free download, install and activate macOS Sierra 10.12.6 Beta without developer account and UDID (Apple ID) via iTunes software. Just Download macOS Sierra 10.12.6 Beta .DMG via Direct Links shared below. Note: Unzip downloaded zip file and move it to the folder "Applications /" to start it, and follow on-screen instructions.